GoPro will showcase the GoPro AFIP solution at the IASIU Seminar í Las Vegas this September. With endless numbers of new fraud schemes, data, analytics, and regulations, fraud investigators must find better tools to handle the growing case load. GoPro AFIP maximizes the ROI of SIU teams, boasting a highly configurable platform and intelligent automation features, that put complex investigations in a clear context. Stop by our booth (Booth 105) and take a look at what GoPro can do for you. GoPro will be exhibiting at the ACFE Global Fraud Conference in June 2016 at the Aria hotel in Las Vegas. We will be demonstrating our fraud investigation solution, GoPro AFIP. Stop by our booth, 504, to learn how GoPro can deliver bottom line benefits to your organization by helping you investigate more fraud. GoPro will present the Advance Fraud Investigation and Prevention software solution at the 2016 Fraud and Error conference, February 23 at Victoria Park Plaza, London, UK. Stop by our stand for a look at the latest features of our groundbreaking Fraud Investigation software, as we tackle the challenges of secure data management and complex investigative procedures for both public and private sectors. GoPro Ltd is participating in an international conference on archiving and storage of data to be held at the Hilton Reykjavik Nordica from 28 to 29. September 2015. ICA (International Council on Archives) along with the National Archives in Iceland is organising the conference. GoPro welcomes you to visit our booth and find out the latest news about our GoPro products. Further information about the conference and registration can be found here ICA2015. 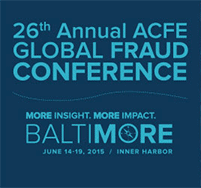 ACFE Global Fraud Conference brings together the foremost experts in the fraud management field and represents a great opportunity to hear about the latest trends as well as share expertise. If you would like to schedule time to meet with GoPro and learn more about our innovative case management solution built for investigating fraud and corruption please click here.